It is peach season here in the NW and we are taking full advantage of that. Not only have we been picking peaches, but I have been buying them by the box full. We all love eating peaches, but I also love baking with peaches. 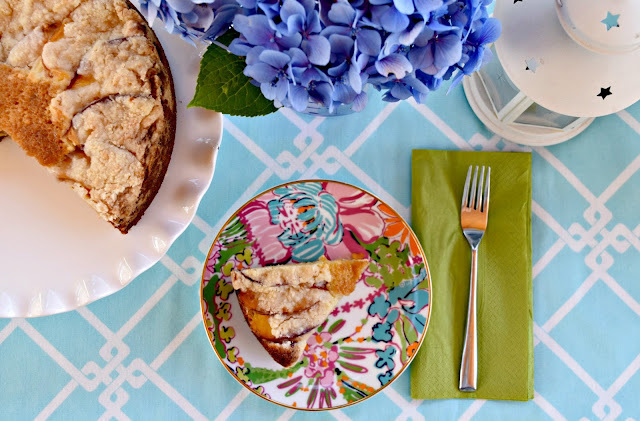 I usually bake my peach pie and this yummy cobbler, but today I decided to go with something a little more simple. 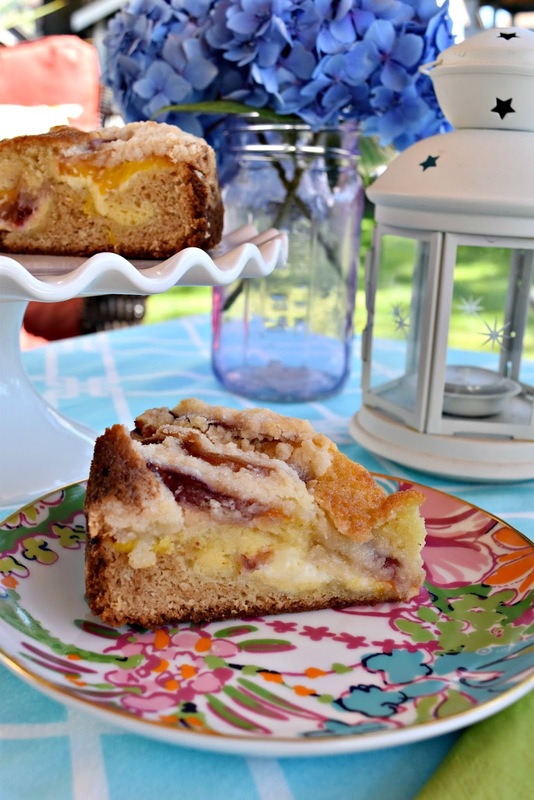 A peach coffee cake. Let me tell you, it is so good! With the creamy cheesecake filling, succulent peaches and crumbly streusel topping. You won't be disappointed. Set in the refrigerator until ready to use. In a the bowl of your stand mixer, beat softened cream cheese and granulated sugar until smooth, for about 30 seconds. Add vanilla extract and an egg, and beat for about a minute more until combined and very smooth. Set aside. Transfer the cake batter to the springform pan. Spread cream cheese mixture evenly on top. Top with sliced peaches. Sprinkle the streusel mixture over the fruit. Bake until the cake turns golden, and a toothpick comes out clean in the center, about 45 minutes to 1 hour, depending on your oven. After cake has cooled, release the cake from the springform pan. What is your favorite thing to bake with peaches?